Simple but effective, our Classic Swedish Massage is just that. Providing you with intuitive massage therapists who will massage you with relaxing swedish massage strokes for that full body relaxing experience. 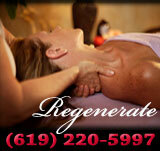 A good alternative for those who simply like a great relaxing massage without all the deep work. For the more savvy massage enthusiast or when you just want to give the best. Our Signature Massage is guaranteed to please. Tailored massaged to address all the areas that need attention as well as being able tie in the rest of your body to give you a thorough full body massage. Upon your request, the Signature Massage may integrate deep tissue techniques which will specifically concentrate on problem areas to a greater degree. For expecting mothers. This massage is typically given with the client in a sidelying position. Depending on the trimester that she is in will determine how to best give the massage with the comfort of the new mother. Still able to integrate a blend of massage styles tailored to address the areas of her body that she may be feeling some discomfort. Relaxing and therapeutic this massage is excellent to ease tension and stress in her body and mind.